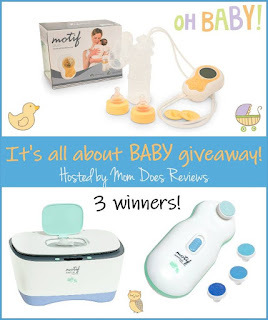 The great giveaway just for baby is sponsored by Motif and hosted by Mom Does Reviews. All babies are so precious-don't they deserve the absolute best care we can give them? After all--they will be inheriting our world! The items below belong in every home with an infant or very young child. Each of three winners will receive one of the below prizes. Read the reviews below to find out more! Motif Medical is dedicated to offering the very best products that help families stay happy and healthy. We are constantly looking for ways to provide the very best service and support for you and your family. Keeping baby happy and healthy is at the top of all our lists. This great giveaway will help you do just that in the most gentle way possible. 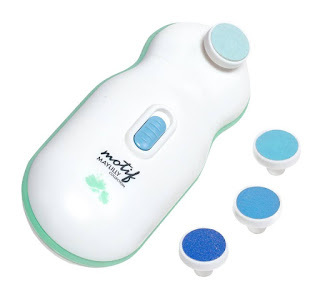 The Motif Duo double electric breast pump is small, yet powerful and is the perfect choice for busy moms who want to stay committed to breastfeeding. The Duo features a rechargeable battery, a hygienic closed system and a sleek, lightweight design for style and portability. 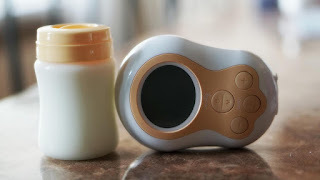 It’s a portable and convenient breast pump that takes up practically no space and has the suction power to get the job done. Read more in the review here. Trimming baby’s tiny nails will most likely cause you to freak out, for me every clip is stressful. Baby’s little hands are so tiny and their nails are incredibly fragile. The Motif Peacelilly is a safe and effective way to file baby’s nails without hurting them. The Peacelilly has four cushioned file grades to use from newborn all the way up to big kids. Gently and quietly file little nails using the high or low setting. Use the two rotations clockwise and counterclockwise to quickly achieve softer and smoother nails. Read more here. We all prefer the comfort of warm water to the unpleasant chill of a cold bath…so, why use an icy wipe on your baby’s sensitive bottom? 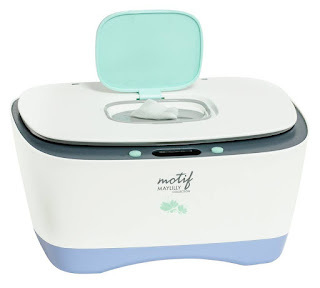 At Motif, they believe that keeping baby clean shouldn’t have to be a disagreeable experience. Their Daylilly Wet Wipe Warmer means no more frigid wipes. Let Motif Medical help you to ensure that every diaper change is as comfortable as possible for your little one. This great giveaway has 3 winners. Each winner will get one of these items: a Motif Duo BreastPump, or a Peacelilly Nail File or the Daylilly wipe warmer! I would want to have an opportunity to try all three in all honesty. However, I understand that is not possible and would prefer the motif duo. I would love to win the nail file. I would love the breast pump! 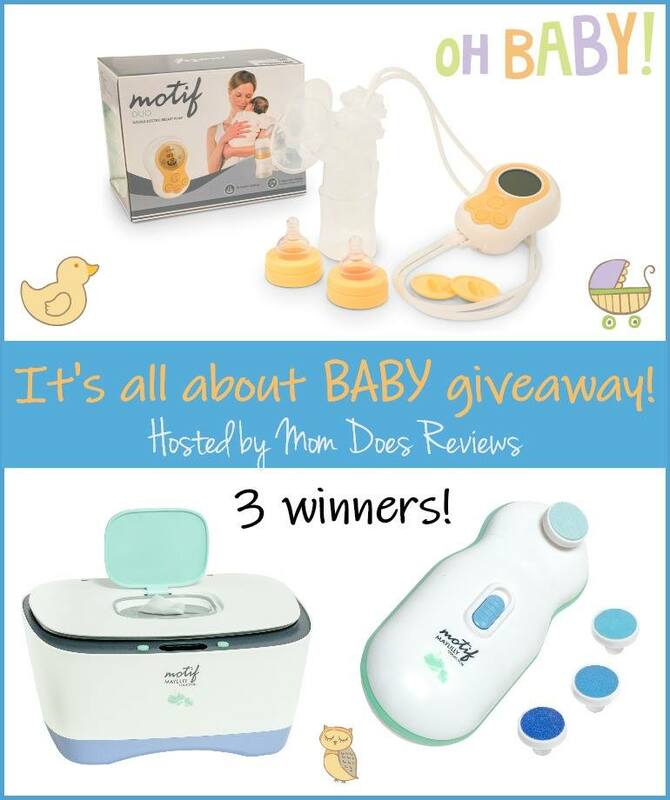 I'd like to win the Motif Duo BreastPump.